Mick Quinn is a former rugby union footballer who played international rugby for Ireland. He played schools rugby for Newbridge College and captained them to victory in the 1970 Schools Cup Final over Blackrock College RFC. 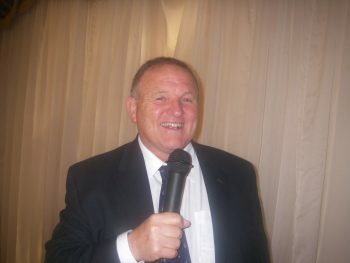 He then moved on to play senior rugby for Lansdowne Football Club before earning a call up to the Ireland national team. In 1976 he was a member of the Ireland squad that went on tour of New Zealand and Fiji.